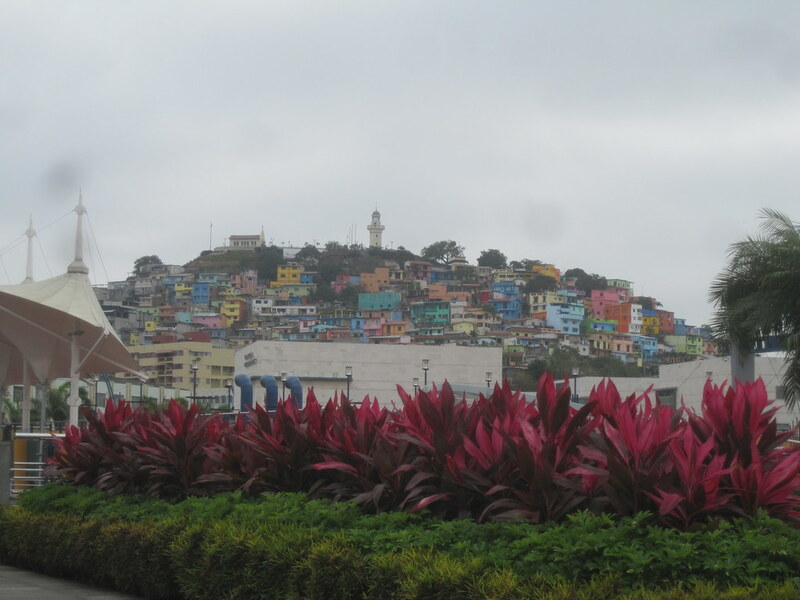 The light house in Guayaquil is on a hill at the end of Malecon 2000. It’s not inside the park. It’s in a residential area that covers the hill. The hill is very noticeable. It has a lighthouse and it has hundreds of houses painted in a variety of bright pastel shades. I didn’t get to the light house. I should have. I got close. I was told that the bight pastel neighborhood was best approached with a taxi and a local guide who was familiar with the area. Okay.